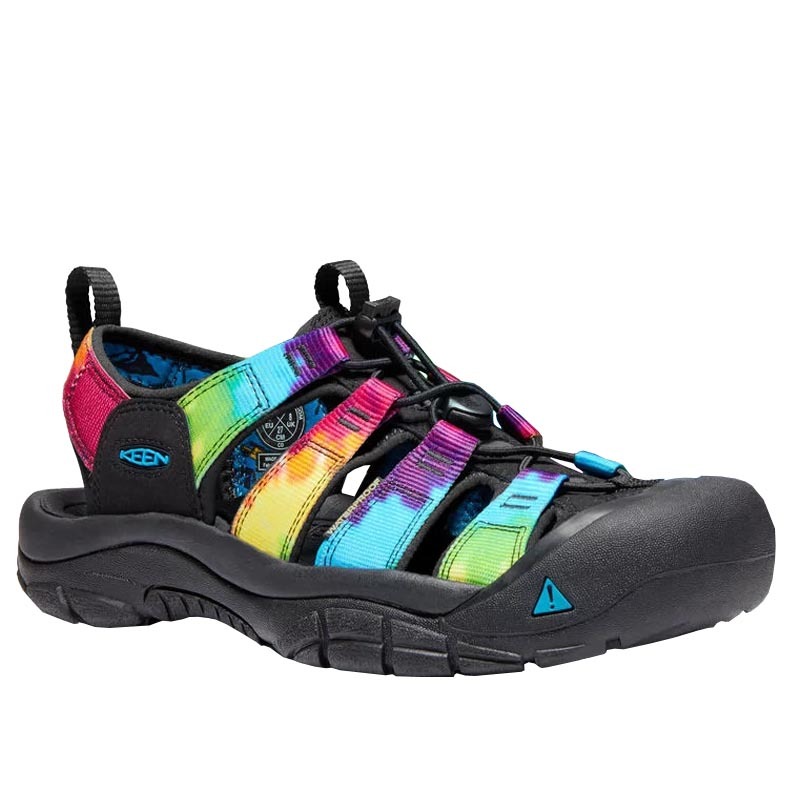 The KEEN Newport Hydro sandal is a very water-friendly multi-sport sandal, one of the foundations of the Keen footwear line. Washable polyester webbing uppers are ready for a variety of outdoor conditions, and are developed to dry quickly for easy transition from the river to the trail. Once they look a little bit "too worn," they are also machine washable for easy clean up. A quick draw symmetrical lacing system contours your foot with a secure and customized fit. Keen's Cleansport NXT™ reduces bacteria growth and protects against odor and footbed deterioration, contributing to a healthy foot environment. A metatomical footbed provides excellent support at the arch, heel, and toes, while conforming to your foot's shape for unmatched personalized comfort and support. The outsole is made with sticky non-marking rubber and designed with a multi-directional lug pattern. In addition, the outsole is razor siped, creating razor thin slits that efficiently expel water for increased traction on both wet and dry conditions. Order up some adventure by land or by sea with the Keen Newport Hydro sandal.